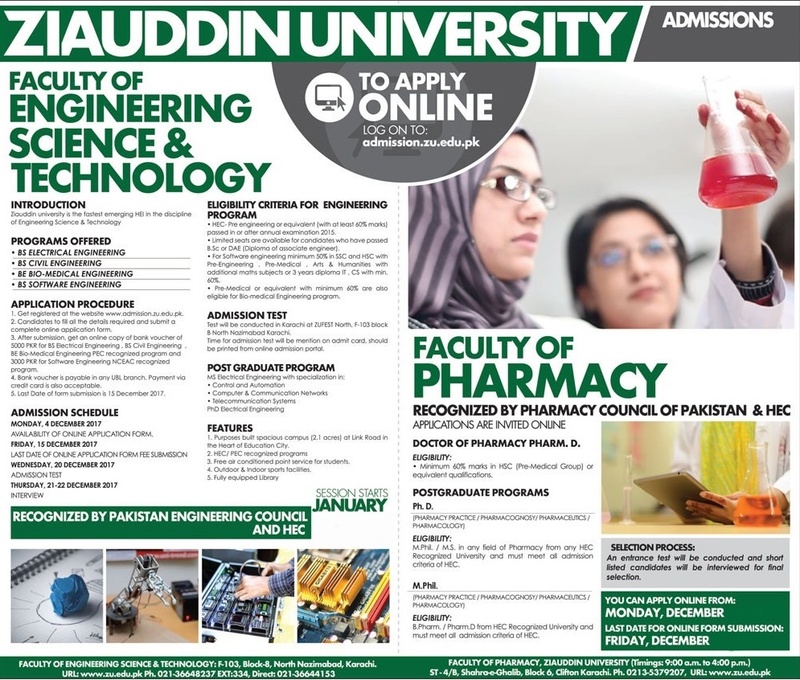 Ziauddin University Karachi Admission 2019 open and students who have wish to get admission in this university, they get complete detail online free from here. All programs offered by Ziauddin College of Nursing are approved by Pakistan Nursing Council. This university is currently focusing on medical subject but the university authority is planning to introduce other science and business subject in this university. All the eligible candidates will appear in the entrance exam & interview, criteria set by the institute to enroll in the program. Ziauddin University Karachi university was founded in 1986 as Nursing School which later transformed into college and university. Sir Ziauddin Ahmed supported the Pakistan Movement and encouraged the students of Aligarh Muslim University to play an active role in this historic movement. Sir Ziauddin Ahmed’s dream to start a medical college at Aligarh Muslim University, was not realised in his lifetime, but has come true with the establishment of the Ziauddin Medical University in Karachi, Pakistan. He was also chosen by Quaid-e-Azam to be the General Secretary of the Muslim League Parliamentary Party. It is very easy to apply in this university. To Apply Online, Log on to admission.zu.edu.pk and complete the form online. Ziauddin University Karachi is an oldest university of Pakistan and you get complete detail about all universities from here. This university have airy rooms, clean environment, highly educated staff, play ground, canteen and hostels. Basic purpose behind this university in to promote knowledge in health science by new and technical researches. Sir Ziauddin Ahmed took keen interest in University affairs, and raised funds for the university time and again.